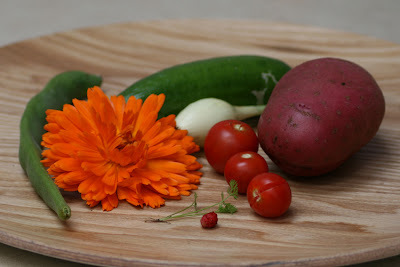 The plate in the photo below shows a sample of produce grown in my garden this summer. It looks good so it might be assumed that I have some experience in growing fruit and veg – but take a closer look as I am definitely not an expert in this area! Have we enjoyed eating our produce? Yes, the Duke of York potatoes grown in pots were tasty enough and although we had a very poor crop we might try that again. The tomatoes we have enjoyed but we haven’t picked them quickly enough and many have split or have become rotten – oops. You can see a sample of them in the photo below. We would probably grow fewer plants next year. My daughter was keen to try growing them both. 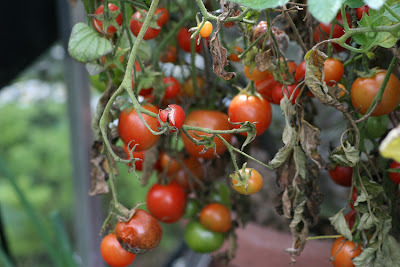 The tomatoes probably needed a lot more care than we gave them – we should have fed them! Guinea pig food was the reason we grew carrots, beans and mini cucumbers. We never tried any of them. If you look closer in the photo, centre front, you will see my fine specimen of carrot! We were completely unsuccessful in growing them. Our carrots were planted in a border in rows alternated with calendula – the flower shown. I am guessing there wasn’t enough sunlight in this area as we have had very few calendula flowers either – although perhaps we should have thinned them out more! The beans and mini cucumbers have been enjoyed by the guinea pigs – but again we didn’t have much of a crop there either. As a result of winds and rain in July we eventually brought them, in their pots, into my small greenhouse but I am guessing now that was a bad idea. The onions look okay – I have them ‘dotted about’ borders. I don’t know if they will get much bigger – maybe they are ready to eat now. The tiny alpine strawberries looked pretty in flower but again we didn’t pick them quickly enough and I guess the birds got most of them. I would like to congratulate all the vegetable and fruit growers of the world! It clearly takes some effort in looking after these plants and I am certain it is rewarding to see rows and rows of beautiful plants ready to eat. My excuse is that I only really have strong sunshine in my front garden and it is really too small for vegetables anyway. I do have sunshine along the main strip of my Leylandii hedge but the roots of it would take away any moisture in the soil. 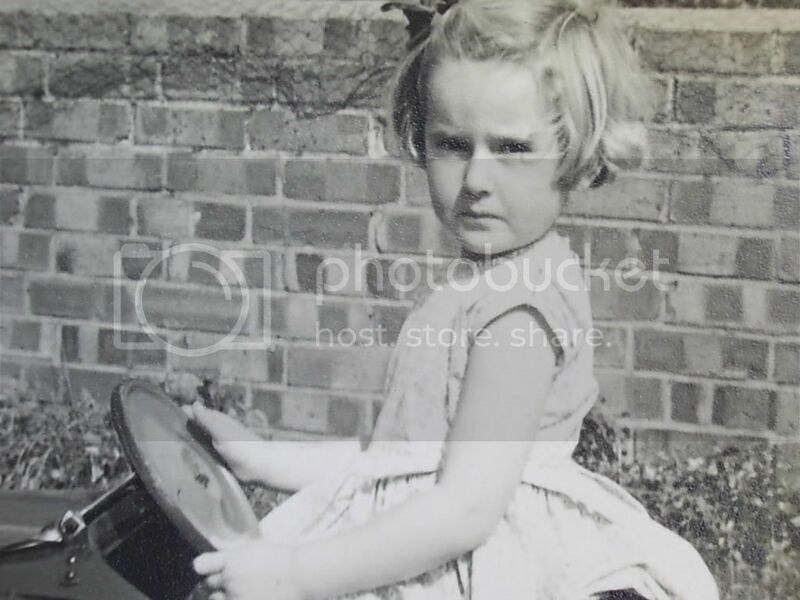 Pots were a good idea for us and I would definitely recommend trying it – but I would suggest that these plants do need fed and watered regularly. I hoped I’d get laughs with the carrot! I don’t have an area in my garden for veg – I just tried it in odd spaces. I had no great expectations as I new sunlight may be an issue. My tomato plants are also quite shrivelled too but they seem to be producing small fruits anyway. I think my guinea pigs appreciated the efforts of Tesco and Morrisons more though!